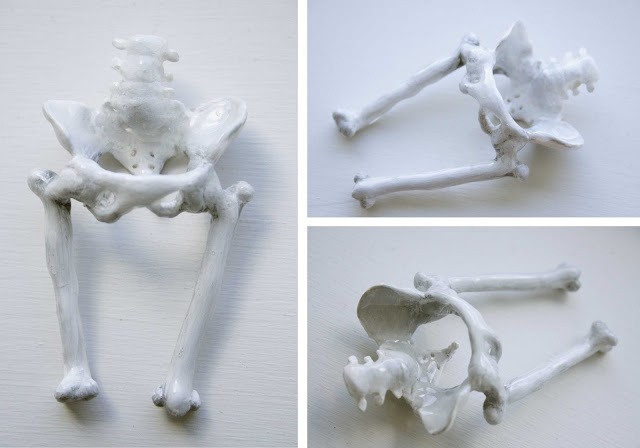 3"x2" mini pelvic skeleton – I made this just for fun! Molding the main skeleton was a bit of a mind-bend – I never realized how much the coxal bone resembles a sort of abstract Mobius strip. I got this brilliant idea from a crazy friend of mine.